Origin Native to Europe and Asia and naturalized in parts of northern and western Africa, North and South America and various oceanic islands. While there are approximately 25 distinct types of mints, peppermint is really a natural hybrid cross between Mentha aquatica (water mint) as well as Mentha spicata (spearmint). About 30 species of mint and 500 varieties are found. 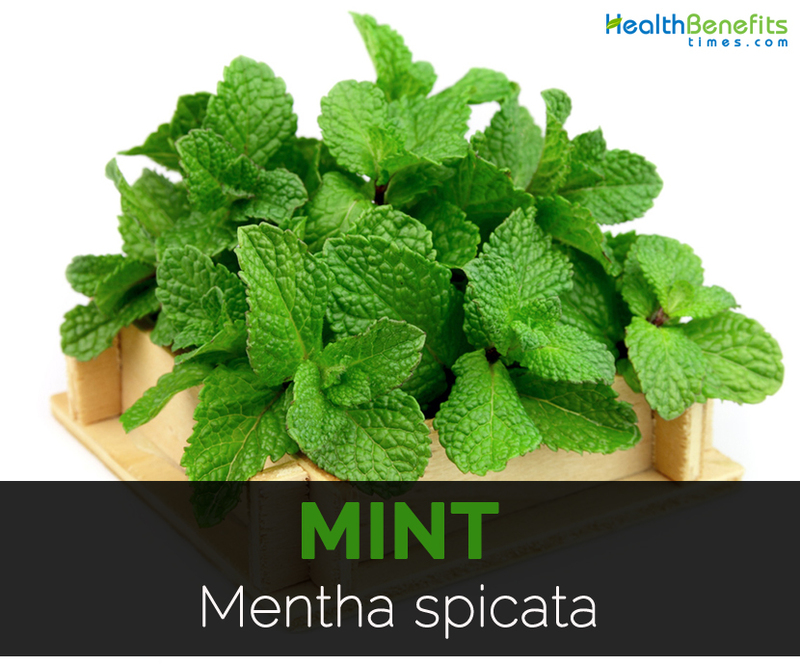 Mentha spicata also known as mint is a genus of plants belonging to mint family Lamiaceae. Mint is actually a plant which has been long identified in diverse cultures, such as India, Middle East and Europe, due to its abundant aroma, calming taste and also healing qualities. 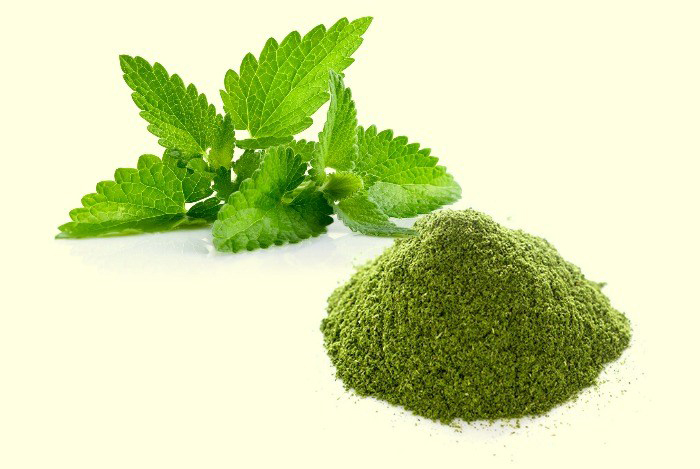 It is grown all over the world, in various types of conditions, and is available in several types, just like peppermint, pineapple mint, pennyroyal, foxtail, spearmint, etc. It is an aromatic and perennial herb which has wide spreading underground and overground stolons and square, erect and branched stems. 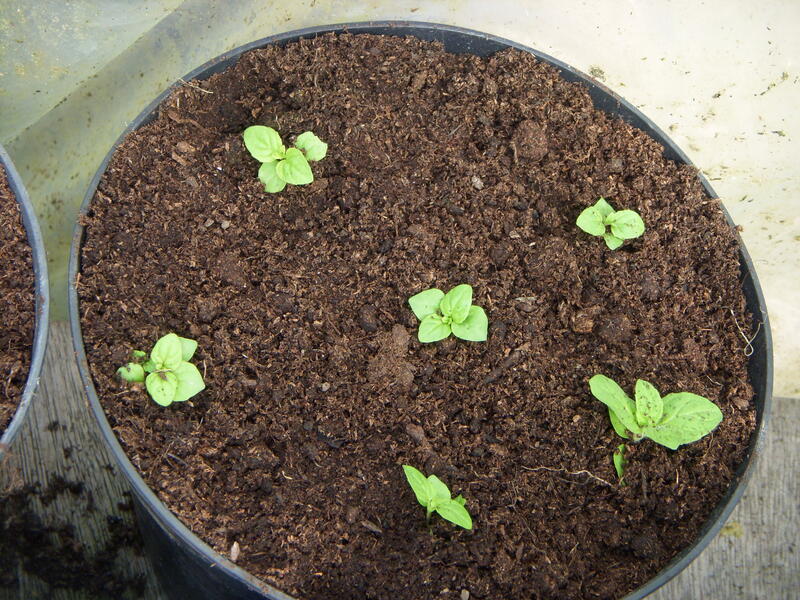 Mint grows 1 to 2 feet tall and spread over indeterminate area. Leaves are oblong to lanceolate, downy with serrated margin and are arranged in opposite pairs. The color of the leaf ranges from dark green and gray-green to blue, purple and sometimes pale yellow. Flowers are produced in false whorls known as verticillasters and are usually white to purple or pink. Corolla is two lipped having four subequal lobes. An upper lobe is usually the largest. 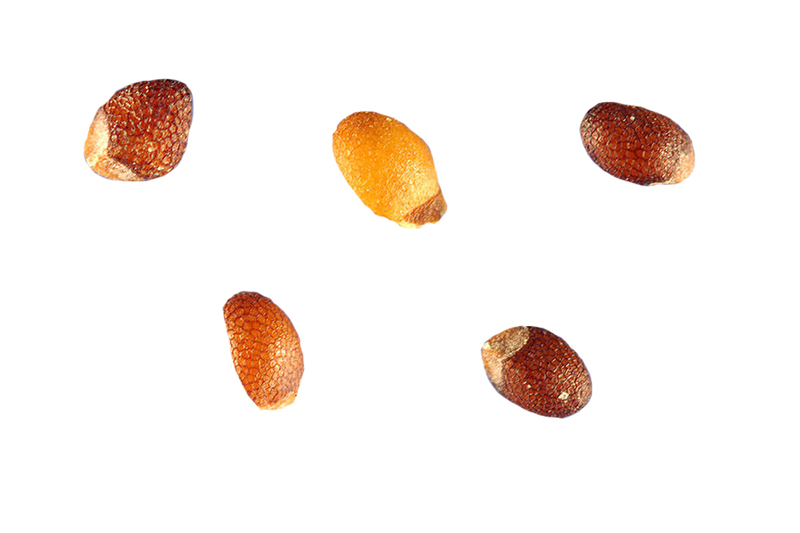 It possesses nutlet as a fruit which contains one to four seeds. The species which makes up genus Mentha is distributed widely and is usually found in many environments but does well in moist soils and wet environments. Its habitats are low areas along damp weedy meadows, rivers, roadside ditches, areas along foundations of buildings, vacant lots and edges of yards. The essential oils and extracts of Mint are an antioxidant source which is biologically active. An extracts and essential oils comprises of phenolic acids, phytosterols, flavonoid, triterpenes, saponins, anthocyanins and carotenoids. An essential oil extracted from mint leaves is known as mint oil. The types of mint leaves such as Mentha arvensis L, Mentha piperita and Menta spicata are cultivated often for the production of essential oils which is used for making liquor and confectionary industry, perfume production, spices and also used as a treatment. Besides this, mint leaves are used as an insect repellant as it contains essential oils that are the substances which are not favored by insects. The mint family comprises of 4000 species which are spread all over the world. Mostly, leaves and stems contains aroma. Mint possess fairly sweet flavor with cooling after sensation. Both dried and fresh mint are used for preparing various recipes including soups, curries, salads, chutneys, candies, juices, juleps and ice creams. Mint is surely an historical herb utilized since ancient times because of its cookery, therapeutic as well as fragrant qualities. The beginnings of mint are privileged in the Greek myth which tells the story that the term mint comes from a nymph named Menthe or Minthe which is a character in Greek mythology. According to legend, Minthe was Pluto’s girlfriend. Persephone, Pluto’s wife became jealous and turned minthe into a ground clinging plant. As Pluto was not able to turn back Minthe into nymph, he gave her the ability to sweeten air when the stems and leaves are crushed. Mint’s characteristic smell makes it one of the most well-liked perfuming herbs all through history. Around the world, from Europe to India to the Middle East, mint has been utilized a strewing herb to clear the air both in temples and houses. Mint in addition has come to represent hospitality in lots of cultures. In historical Greece, mint leaves were rubbed on dining tables to welcome guests, whilst in the Middle East, the host still traditionally offers mint tea to guests upon their arrival. Mint has performed a huge role within the American tradition. 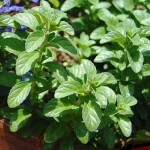 As the Native Americans were utilizing mint before the arrival of the European settlers, the early colonists brought this particular prized herb with them from the Old World since they had long honored it because of its healing qualities, as well as for the tasty hot tea beverage made out of its leaves. Mint is a rhizomatous, herbaceous and perennial plant which grows 1-2 feet tall with hairless to hairy stems and foliage and fleshy wide spreading underground rhizome. Leaves are 5 to 9 cm long and 1.5 to 3 cm broad with serrated margin. 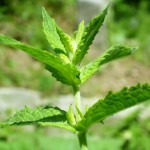 Stems are square shaped which is a trademark of herbs in mint family. The flowers are produced in slender spikes. Each flower measures 2.5 to 3 mm long and broad and forms in slender spikes. Mint is known for its refreshing aroma and cool feel. Mint leaves are a great source of Vitamin C, A and E as well as beta carotene. Chewing leaves of mint freshen breath and offers micro nutrients such as calcium, potassium, magnesium, iron, dietary fiber and manganese. Essential oils are loaded with anti-oxidants which helps to promote immune system in the body. It is free from cholesterol. 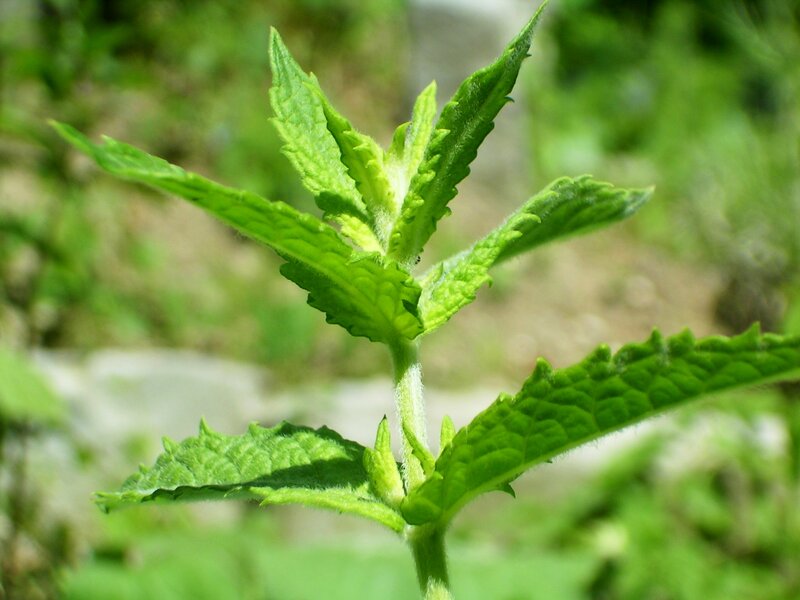 Menthol or Mint oil which is extracted from the herb is used as flavoring agents in mouthwashes, toothpastes, mouth fresheners and chewing gums. It is used in oral care products and also used in shampoos, soaps and oils for massage or aromatherapy. 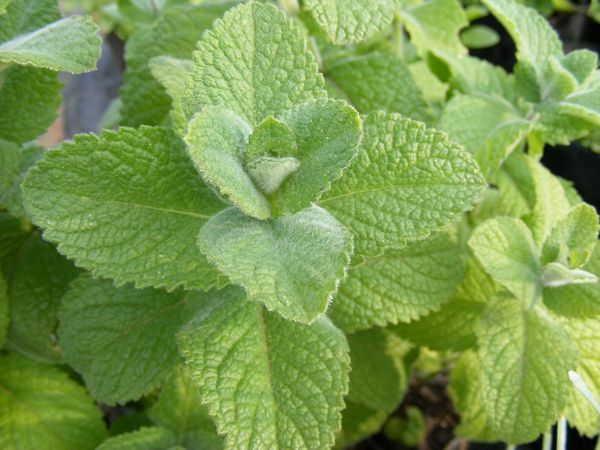 Mint extracts are used to provide relief from stomach upsets, nasal congestion, headache, colic and gingivitis. Mint is a palate cleanser or a great appetizer. It enhances digestion and soothes stomach in the case of inflammation or indigestion. Drink a cup of mint tea to provide relief from stomach problems. Menthol oil extracted from mint is helpful for those who travel long distances by boat or plane for motion sickness and nausea. The aroma found in this herb activates salivary glands in mouth and glands that secretes digestive enzymes by facilitating digestion. Crushed leaves are helpful to treat nausea and headache. 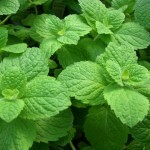 Mint has strong and refreshing aroma which is an aid for nausea. Mint oil or product having mint helps to alleviate stomach issues. Rub the balms with basic mint oil or mint base on nose and forehead to provide relief from headache. It is a natural soothes that alleviates inflammation and lower the temperature during migraines and headaches. Being a good relaxant, Mint is beneficial for asthmatic patients by providing relief from congestion. 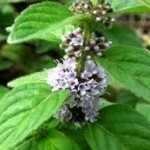 Excessive use of mint could irritate nose and throat. It is a natural stimulant which helps to charge energy and brain functions at higher level. The essential oil might be helpful if one is feeling anxious, sluggish, exhausted or depressed. It could be applied topically, ingested and inhaled as vapor. For best results, put few drops of mint essential oil on pillow at night. Mint oil is an antipruritic and antiseptic. Mint juice acts as a great skin cleanser. It soothes skin and cures infections as well as itchiness. Moreover, it helps to reduce pimples by providing relief from acne symptoms. It has anti-pruritic properties which help to treat insect bites of honeybees, mosquitoes, wasps, hornets and gnats. It has cooling sensation which provides relief from irritation, urge to scratch and due to its anti-inflammatory properties, it lowers the swelling. 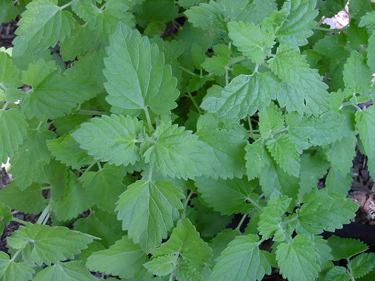 Mint oil is used in bug repellent products such as citronella candles. 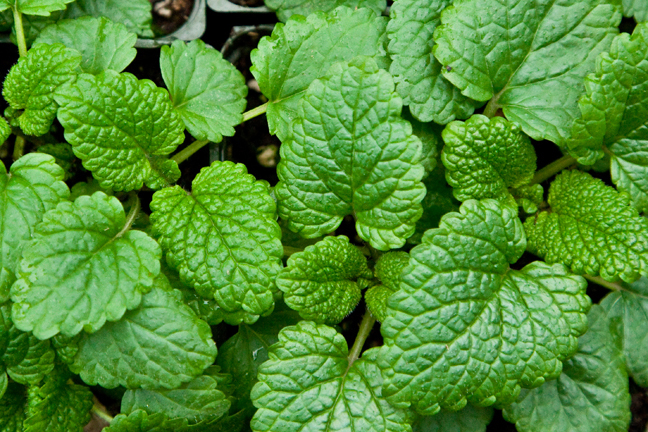 The study evaluated the effects of mint on retention, alertness and cognitive function. People who use chewing gum having mint as an active ingredient has high levels of memory retention and mental alertness in comparison to those who did not. Mint has stimulant qualities. Mint assist in losing weight in a healthy way. It is a stimulant which stimulated digestive enzymes which absorb nutrients from food and consume fat which is turned into usable energy. 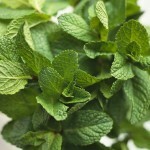 Add mint to the diet for turning the high amount of fat into use that being stored that contributes to weight gain. There are mixed opinions regarding this treatment with mint. Some say that use of menthol for prolonged time causes sterility lowering the ability of woman to conceive by interfering with ova production and eliminating these gametes. 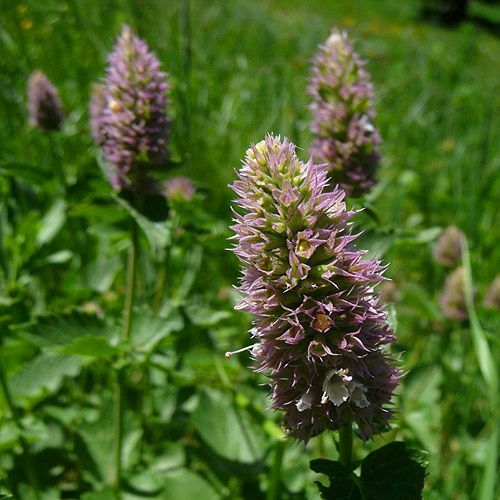 It is due to its insecticidal and germicidal properties of herb which is helpful for health. Another research shows that the men who smoke menthol cigarettes are prone to suffer from impotence than those who smoke normal cigarettes. Other group suggest that Mint is used for treating sterility in females. 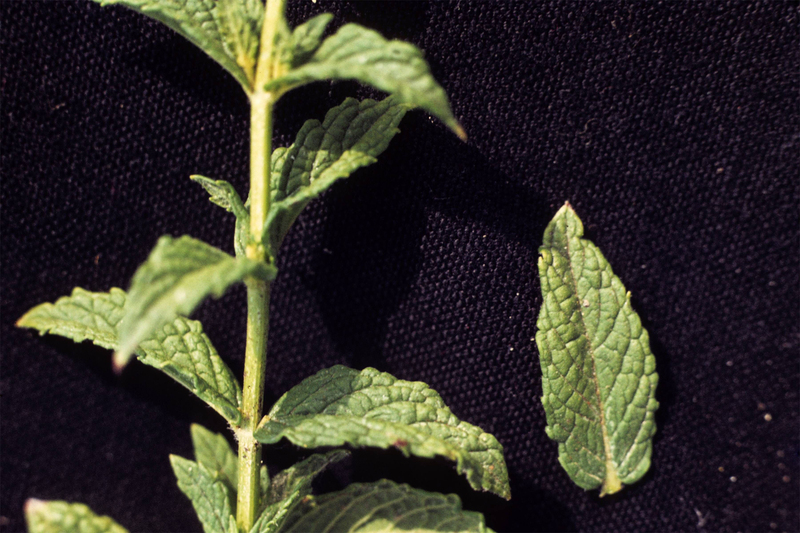 Research must be conducted on effects of mint in both female sterility and male impotency. 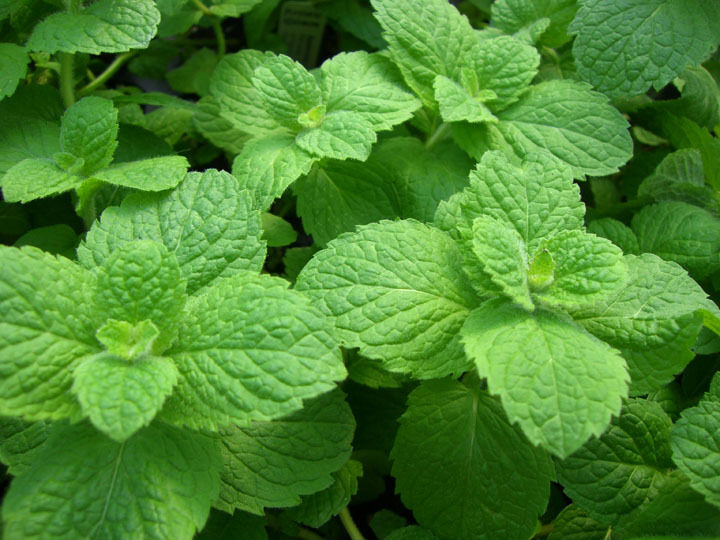 Mint possesses germicidal properties which help to freshen breath quickly. It inhibits growth of harmful bacteria inside mouth and cleans tongue and teeth. 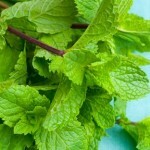 Rub mint directly on teeth and gums for refreshing mouth and kill harmful growth of bacteria. Mint is used as a common element in mouthwashes, toothpastes and other dental hygiene products. Hay fever and seasonal allergies affects about millions of people in the world. Mint leaves extract helps to inhibit release of some chemicals that aggravate severe nasal symptoms related with seasonal allergies and hay fever. Studies show that daily intake of mint lowers the chances of cancer. It has cancer counteracting properties due to the presence of carotenoids and beta carotenoids found in mint. Carotenoids help to increase cell differential and protects cells against carcinogenic chemicals which could damage DNA. Vitamin A has anti-carcinogenic properties which are found in abundant amounts in mint that helps to prevent formation of tumor and cell proliferation. Mosquito bites along with other type of infection are extremely common. In case you are facing skin irritation of some kind, you need to ideally make use of the mint leaves in your body. Their anti-inflammatory qualities curb the irritation. Not only will it soften the skin but additionally result in the itching feeling disappear. In case you are infected by lice in your hair, mint oil is a straightforward method of getting rid of this challenge. You need to massage the hair effectively along with mint oil a minimum of 3-4 times per week. It is just a natural repellant towards such insects. In a period of time, the hair will probably be cleaned off the insects and also lice. What bothers most women is definitely the marks that pimples leave! In case you are one of them, you need to use mint to lessen the marks. Mix oats with mint juice and put it on along the length of your skin. Not only can the marks lighten but additionally eliminate the dead cells blocking along that portion. It is really an incredible method of getting rid of the scars. Who doesn’t suffer from cracked and rough heels? Well, if you’ve been struggling with the same, you need to preferably use mint leaves soaked in boiling water and dip your feet in it. Within no time the cracked heels will soften and they’ll look pretty. This complete soaking can give an fragrant effect, assisting you to relax. If you’ve been struggling with blackheads since long, then you need to use mint leaves to sort the issue. 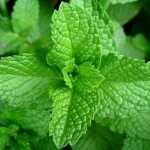 Apply mint leaves along areas in your face which are vulnerable to blackheads. Let it rest on for around fifteen minutes just before washing the face off. The blackheads will probably be eliminated after a period of time. For those struggling with acne issues, there’s nothing like mint leaf juice to assist you cure the problem. 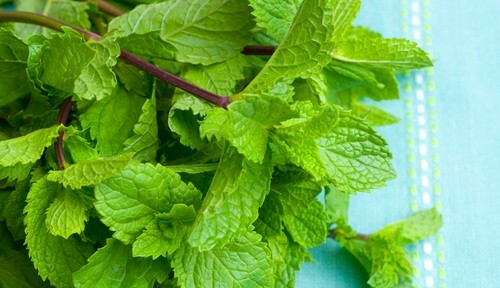 Mint leaf juice is full of Vitamin A, therefore reducing oiliness in the skin. Combine mint leaf juice and rose water and put it on in your face. Leave it on for 20 minutes before washing your face off. The acne will probably be cured progressively. 1. Grind mint leaves and mix it with honey to use on your skin. This mint face pack cleanses and tightens your pores completely, thus, providing you with fresh and oil-free skin tone. 2.Grind mint leaves along with rose water in the grinder and spread this wonderful mix in your pimples to heal them fast. For those who have severe pimples, leave this preparation overnight. This home remedy is really a sure-shot remedy to drive away prolonged acne. Do try it to see by yourself that it’s more efficient compared to neem(margosa leaves). Mint, full of salicylic acid, assists heal pimple rapidly and stop its recurrence. 3.Boil mint leaves in water and simmer it till the water remains half.. Once cool, strain the mixture to use as a face toner. Make use of this mint toner to help keep acne at bay. Furthermore, this toner assists in keeping the skin oil -free and fresh. 4. Apply fresh ground mint leaves in your face to lighten the skin tone dramatically. Using mint paste or even mint juice helps you to diminish under-eyes circles in addition to puffiness of eyes. 5. Apply mint oil in your hair to eliminate lice simply because mint behaves as a natural repellent of insects. You can test this recipe 3-4 times a week for best results. 6. Combine mint juice along with oatmeal powder to make a face pack that can help in exfoliating dead skin cells as well as revealing fresh skin on the outer surface. 7. Add mint juice to fuller’s earth and tomato juice, then dab in your pimples completely. This particular minty recipe works well for cleaning acne-marks also. 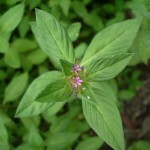 8.Grind mint leaves and also add sandalwood powder to it to create an anti-acne face mask in your own home naturally. 9. Take some mint leaves, mungbean as well as curd. Apply this particular natural face pack on the skin to treat a variety of facial imperfections like pimples, blackheads and rough skin completely. 10. You are able to use mint-leaves pack on the skin to reduce the size of enlarged pores on your face. Try to rub while removing this mask to slough out the unwanted blackheads as well as whiteheads from the skin. Full of salicyclic acid , mint leaves pack helps unwind dead cells as well as shed them easily. So mint paste is a superb exfoliating scrub for the skin. 11.You are able to dab mint juice on insect bites or stings to get cooling sensation and reduce the itchiness. 12. Apply mint oil in your pimples to lessen its size. Standard uses of mint oil helps prevent the recurrence of further break-outs. 13. Use the fantastic preparation of mint paste and olive oil together to soften and hydrate your cracked heels. 14. Boil mint leaves in water and soak up the feet in mint juice also it assists drive away dryness and also smell from the feet. 15. Using mint leaves paste works well for managing the surface oiliness on the skin and keeping the skin spotless and oil-free. 16. Boil a bunch of celery and mint leaves in the water for 20 minutes, then strain the leaves and rinse your hair with this water to make your hair stronger and shiner. What is more, this home remedy prevents hair loss. Mint leaves are packed with menthol and anti-bacterial properties, that make it a nourishing as well as caring hair-rinse for the tress. 17.Mint is a wonderful hair conditioner. Rinse your hair with mint water to obtain frizz- free and shiny hair. 18. Mix mint leaves along with fuller’s earth and lemon juice to use in your hair to obtain shiny and dandruff-free hair. 19. Take one spoon of egg white,one spoon of curd, one spoon of mint juice and half a spoon of honey to have a anti-wrinkle face pack in your own home. 20. Put mint juice in ice tray and rub these frozen mint cubes on your face to clear all kinds of facial imperfections from the face. What is more, it’ll leave the face exuding a minty fresh aroma all day long. 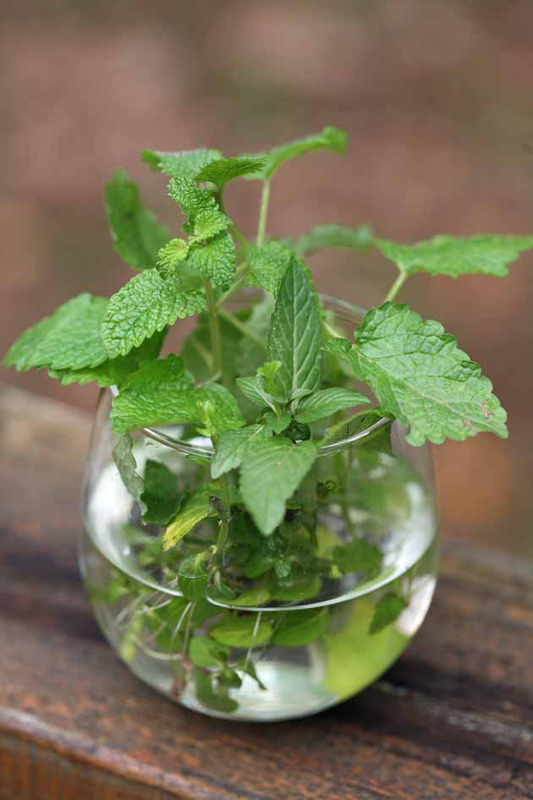 21.Steep a handful of mint leaves in water for Half an hour and strain the liquid of mint juice. Add egg white and kaolin powder to it. Apply it in your skin and wash off after 15 minutes. Do this anti-aging facial mask for relieving off fine lines and getting younger-looking skin fast. 22. Take 2 cucumber , one-half avocado, one spoon of almond oil, 3-4 mint leaves, half a spoon of Benzoin tincture and one cup of distilled water. Grind all ingredients well to create a special anti-aging cream for the face, neck. forehead as well as upper-lip areas. Put this cream in a tight jar and then use it 2-3 times a weak and allow it to stay for 20 minutes prior to washing out. Try this particular beauty tip to bring marked improvement within your skin’s health. This particular herbal face mask safeguards the skin from suntan to make your complexion fairer and softer. 23.You are able to make a facial mask along with half a spoon of mint leaves, half a spoon of calendula , 1/4 glass of olive oil and half a spoon of burdock. Soak up all the ingredient in olive oil in order that oils absorb the natural goodness of natural ingredients. Keep it in the dry and cool place for one week. Apply this preparation in your under-eyes areas to heal wrinkles as well as puffiness around the eyes. Make sure to do patch test just before applying this facial treatment so your skin might not be allergic to it. 24. Apply mint leaves as well as lemon juice mix for clearing the ugly dark spots as well as pigmentation marks from the skin. 25.You are able to use the nourishing mixture of mint juice and cucumber juice for removing age spots. 26 Drink mint water to get clear and glowing skin. 27. You can test mint juice as well as lemon juice mix for fair skin. 28. The powerful mixture of mint juice as well as turmeric powder helps with treating sun burnt skin. 29. Use the combination of mint juice as well as coriander juice in your lips to make them pink and beautiful. 30. Mint is boon to weight watcher too as chewing mint leaves help to manage your craving that stops additional kilo from creeping in your body. 31. Grind fenugreek seeds to create a fine paste and also to this, add few drops of mint juice and butter milk. Make use of this preparation as face scrub to drive away pimples and stop further break out of pimples on the face. 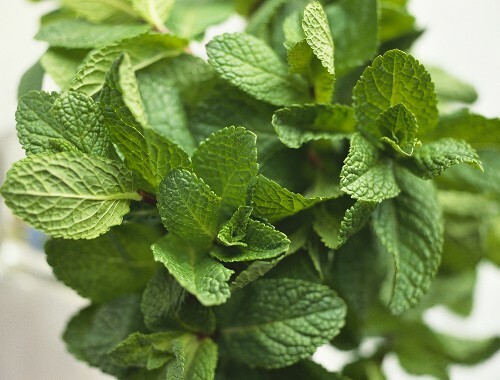 A refreshing herb with a menthol scent, aroma and taste, mint comes with an energizing effect to the senses and is also utilized in cooking to provide flavor to a lot of kinds of tasty dishes as well as utilized to enhance desserts. It’s also traditionally used in medication, aromatherapy, as well as in industrial items like toothpaste, chewing gum, soaps, mouth wash, creams, as well as balms. There are far more than 20 varieties of the mint plant and countless hybridized types. They differ in shape as well as color with a variety of flavors and scents. Listed below are some of the very most typical kinds of mint utilized in cooking or even for making tea. 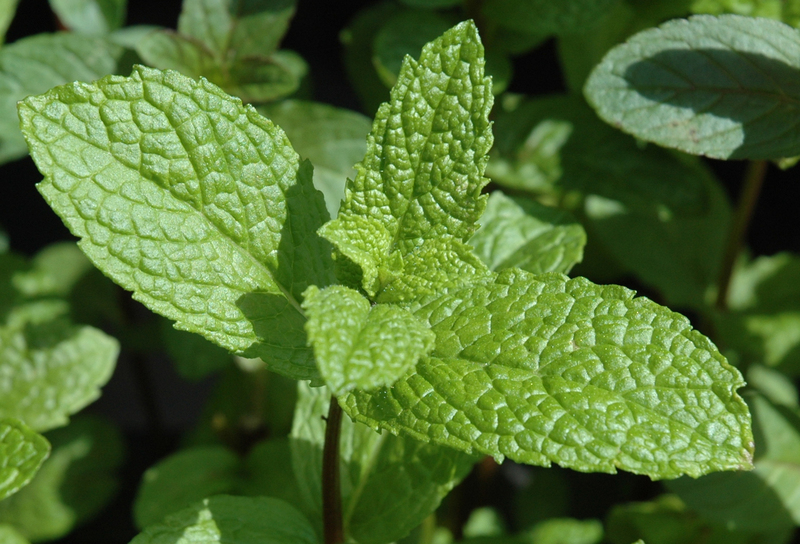 Peppermint is probably the most identifiable kinds of mint. It’s got higher menthol content and also delicate sweetness with a exclusive candy-cane aroma. It really is good for making tea, ice cream, candy custards, along with other desserts. It may also help reduce belly pains and also calms tired muscles. Probably the most well-known kinds of mint utilized for cooking and is also well-known like a flavor for gum, spearmint or garden mint includes a fragile fragrance as well as distinctive taste. The dark green leaves along with pointed ends as well as jagged teeth help to make beautiful foliage as well as an perfect companion plant for roses since it is recognized to drive away aphids. It’s the most typical type of mint utilized in the kitchen and could be utilized for tasty or even sweet dishes. 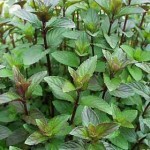 If you like the taste mixture of crisp mint as well as rich chocolate, you will love chocolate mint (Mentha piperita). Closely linked to spearmint, chocolate mint stands out from the crowd because of its purple stem as well as indulgent cocoa aroma as well as taste — without the calories. 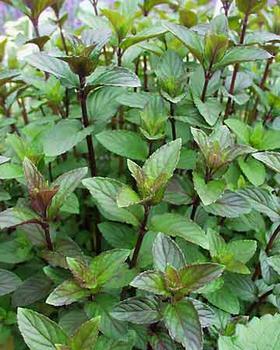 Chocolate mint may be used fresh or dried and is really a great addition to teas, baked goods, fresh fruit, and also ice cream. There are lots of types of fruit-flavored mints which includes orange mint, apple mint, lemon mint, lime mint, banana mint, as well as pineapple mint. 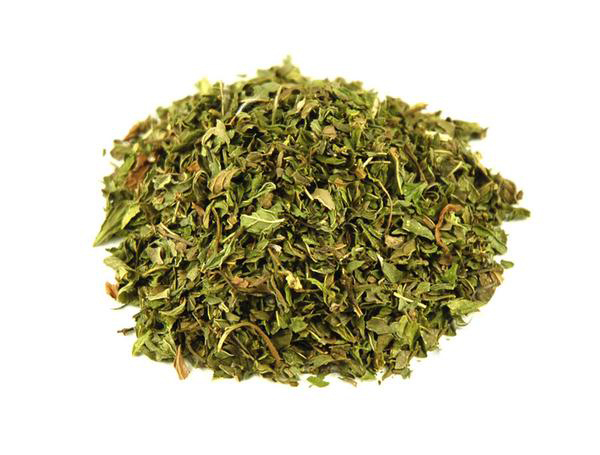 This type of mint has got the exclusive menthol taste along with fruity undertones or overtones. This can be well suited for including onto salads to give it a refreshing fruity as well as minty flavor, and is particularly great for making tea. 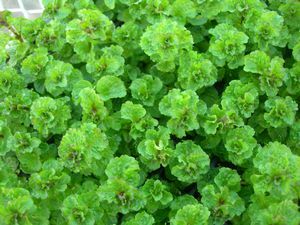 Corsican mint (Mentha requienii) grows like a beautiful bright green, moss-like, ground cover along with tiny light purple flowers. 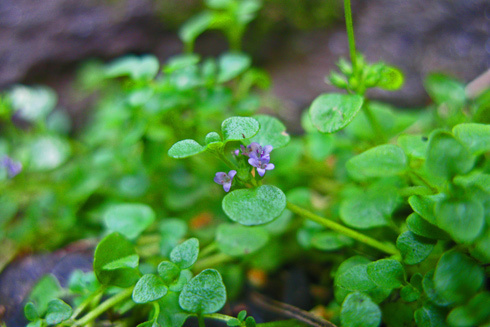 The herb favors damp soil and shady areas. Corsican mint comes with an specifically powerful scent as well as taste and is also noted for its use within creme de menthe along with other liqueurs. Additionally, corsican mint tea created from dried leaves is oftentimes utilized to deal with digestive illness, headaches, and fever. Bowles is commonly used in English cooking. It features a fragrance it really is a mixture of spearmint and apple, along with medium green leaves and a round shape with a hairy texture that may put off those who are not used to it. This particular member of the mint family is especially appealing to cats, who like to roll in the leaves. 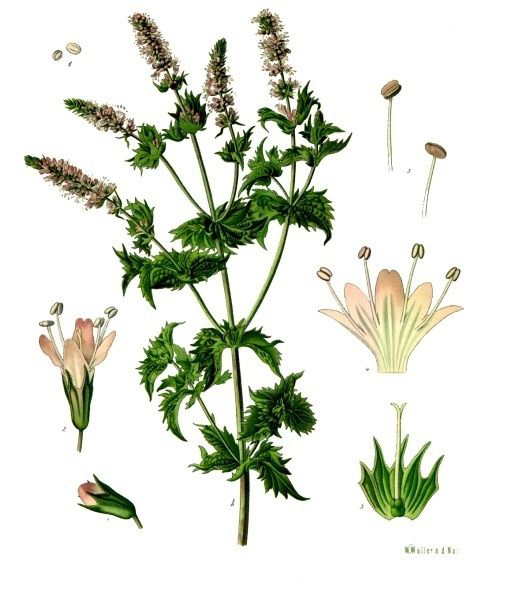 While catnip, or even nepeta cataria, doesn’t have a modern cookery uses, it is usually utilized in tea or salve form to deal with a multitude of ailments like dandruff, hemorrhoids, fever, upper respiratory concerns, headaches, diarrhea, insect bites as well as anxiety. The oil of bergamot, or even mentha x piperita citrata, comes with an stimulating citrus scent. In aromatherapy, bergamot oil has beenutilized as a good antidepressant and also cure for stress-based anxiety. Bergamot shouldn’t be used conjunction with prescription anti-depressants as serious side effects may appear. Speak with your physician before you take bergamot like a treatment for depression or anxiety. Lemon balm, or Melissa officinalis, is usually a natural anti-bacterial, antihistamine as well as calmative; it’s been utilized in the past to deal with conditions like cold, flu, insomnia as well as high blood pressure level. For cooking, this particular herb can be used like a garnish for drinks and tangy dishes to add a fragile lemon flavor — it’s particularly nice added to fish recipes. 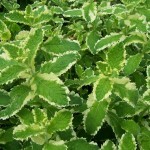 Applemint (Mentha suaveolens), is oftentimes known as woolly mint because of its bright green, fuzzy leaves. The herb produces an stimulating apple scent which makes it well suited for flavoring teas, jellies and sauces. Its therapeutic uses consist of dealing with stomach upset, fevers and insect bites. 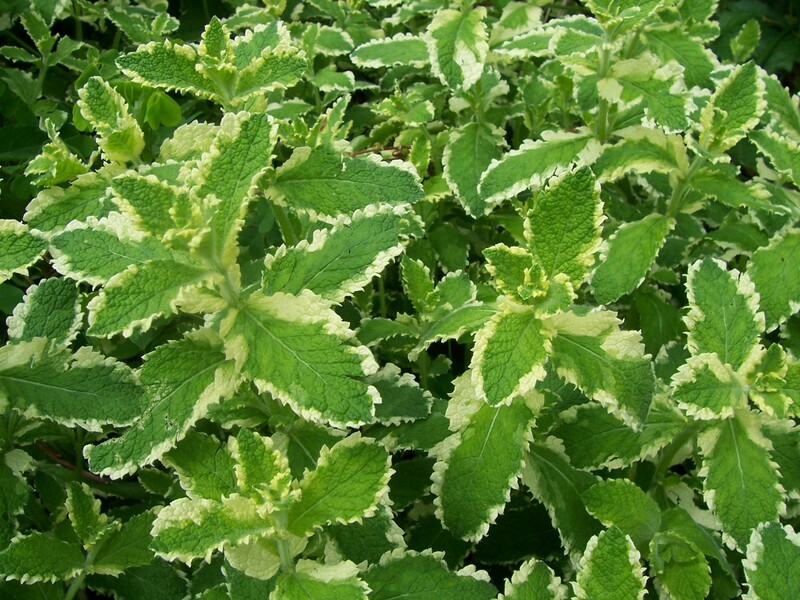 Pineapple mint (Mentha suaveolens variegata) is really a variation of apple mint and it has a fruity scent and wonderful look. The mint’s green as well as cream colored leaves look creased and could be dried or utilized fresh to add a touch of sweetness to teas and baked goods. 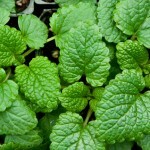 Mentha gentilis, also referred to as ginger mint, is an easy to grow herb with a spearmint-like scent. 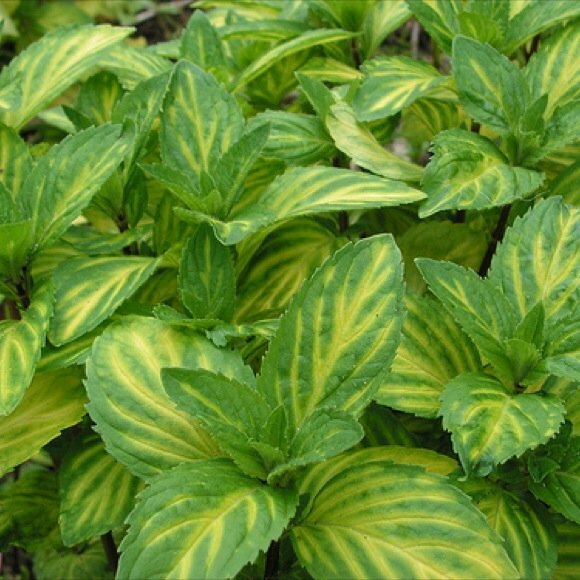 The herb’s leaves are veined yellow and could be dried or even utilized fresh to add flavor to fruit salads, teas, as well as marinades. Ginger mint is considered to have antiseptic qualities and is also utilized to help reduce tummy troubles. Additionally, the herb is utilized commercially to repel rats along with other rodents. 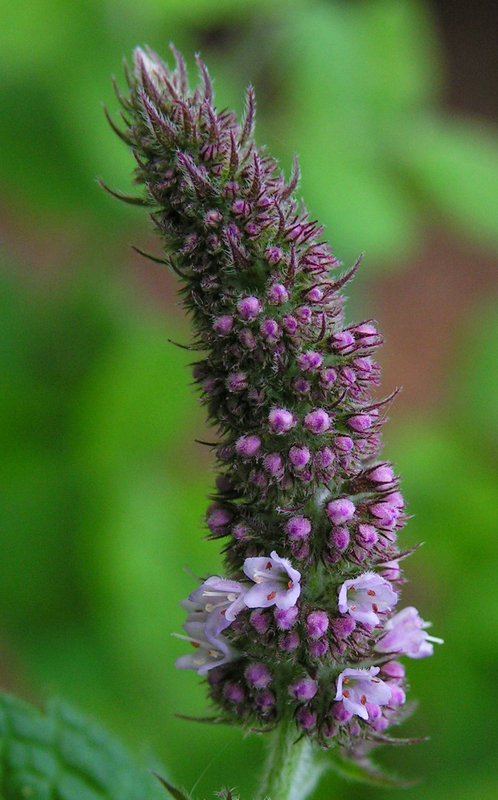 Curly mint (Mentha spicata crispa) is recognized for it’s distinctive fluted, curled leaves. 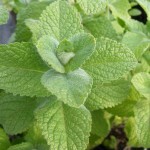 This particular hearty perennial is utilized to add mint flavor to hot and cold beverages, jams, jellies, sauces, and candy. Additionally it is utilized as an edible garnish. 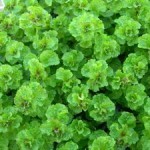 This particular highly aromatic herb (Mentha aquatica) smells much like peppermint and needs high moisture to thrive. 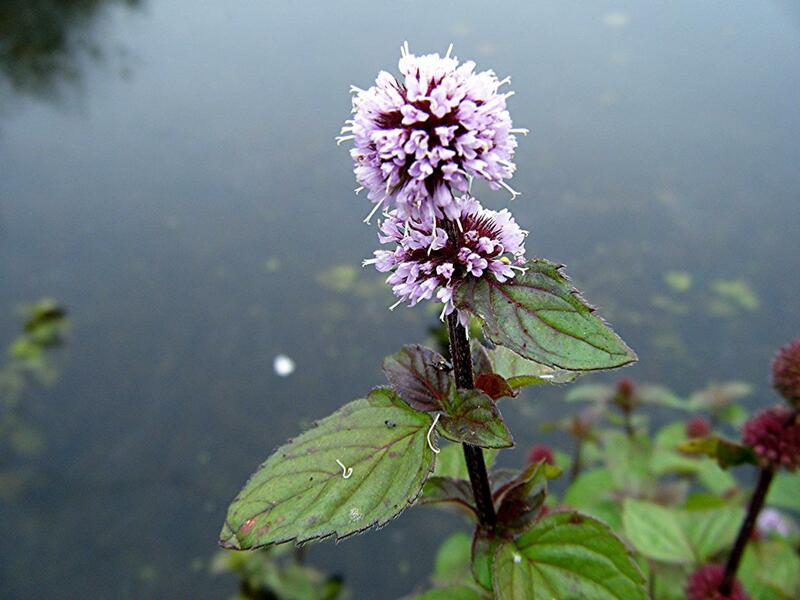 Water mint is renowned for its pretty, sphere-shaped lavender flowers; however, it is the leaves that hold the herb’s medicinal and cookery rewards. 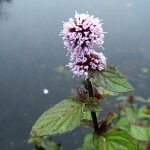 Water mint could be dried for use in teas to deal with digestive problems, fevers, or headache and is particularly utilized as a sore throat as well as mouth gargle. 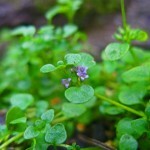 The herb may also be used fresh in salads along with other culinary dishes. 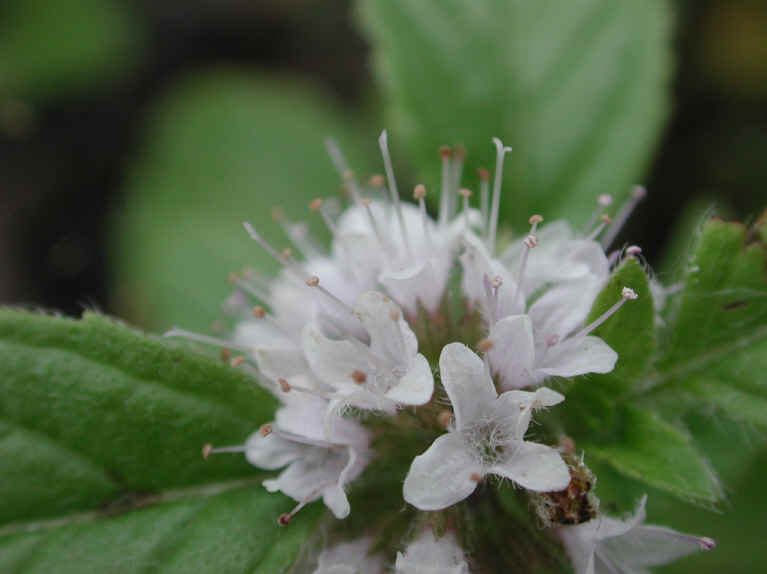 Corn mint (Mentha arvensis), also referred to as wild mint or even field mint, can be obtained growing in backgrounds gardens as well as along streams, shorelines, ditches, river banks, fields and meadows. 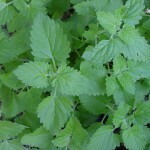 Corn mint’s leaves might be dried or even utilized fresh in herbal teas or even culinary dishes. The herb could also be used to assist repel rodents and insects. Native American tribes traditionally used wild mint to deal with a multitude of health concerns which includes fevers, flu, pneumonia, headaches, heart issues, colds and diarrhea. 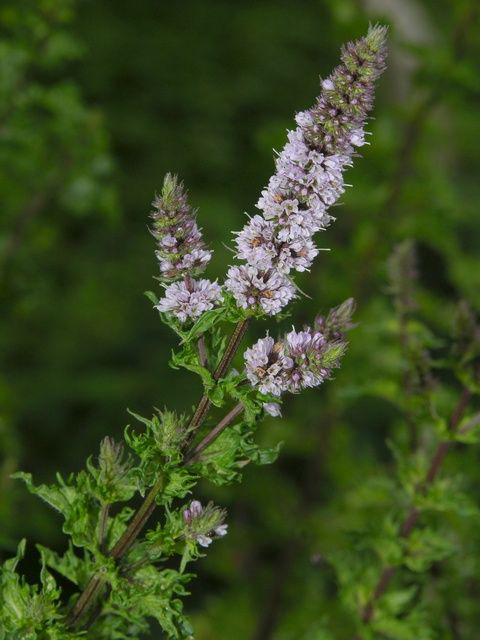 In accordance with the book, Homegrown Herbs by Tammi Hartung, Pennyroyal (Mentha pulegium) is indigenous to the Mediterranean as well as enjoys full sun and well-drained soil. The herb is considered to supply rewards for women’s health issues and also digestion yet shouldn’t be utilized by pregnant women. 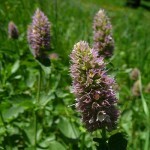 Homegrown Herbs additionally mentions that Pennyroyal is utilized in herbal pet care products to assist avoid fleas and ticks; however, the herb won’t be used on cats. 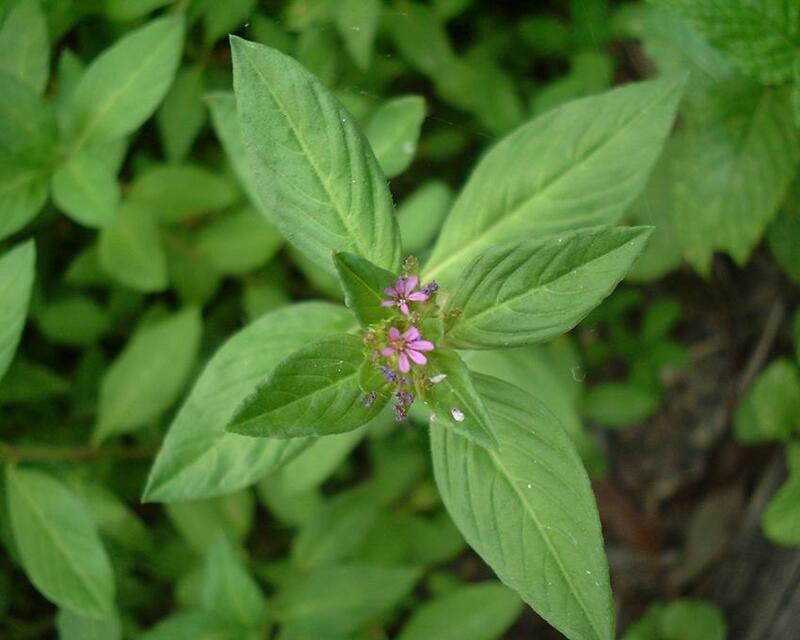 Mentha asiatica, or Asian Mint, can be found in Eastern and central Asia. It grows wild along riverbanks, landfills, and waste areas but additionally makes a nice ornamental garden herb. The herb has got traditionally been utilized dry or fresh to cure digestive problems and also to add taste to teas and cooking dishes. Indigenous to central and southern Europe, Asia, and Africa, horse mint (Mentha longifolia) enjoys sunny areas as well as damp soil. It’s serrated leaves can be utilised fresh or dried in teas and therefore are particularly nice added to salads. 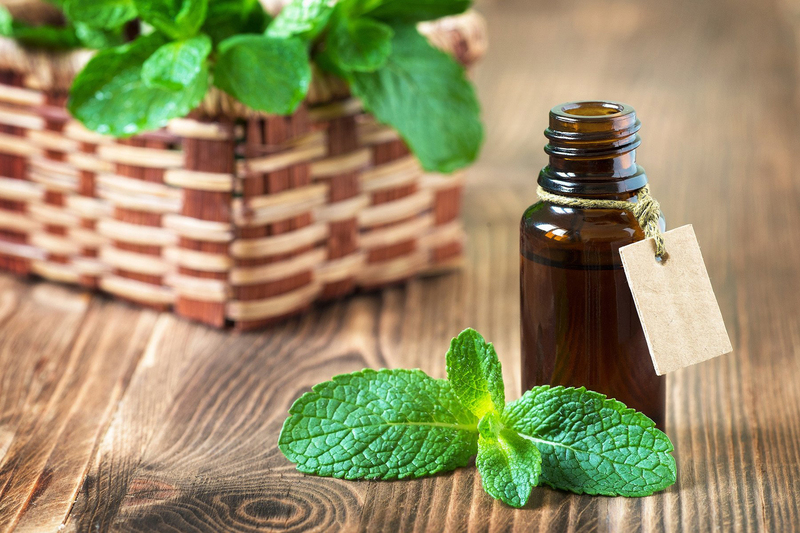 The herb’s essential oil may be used to add peppermint-like flavor to recipes. This mint is utilized to deal with digestive issues and its particular high thymol content provides it with strong germ killing qualities. Whenever you can, select fresh mint over the dried form of the herb because it is outstanding in flavor. The leaves of fresh mint need to look vibrant and be an abundant green color. They must be free of dark spots or yellowing. Even through dried herbs and spices just like mint are widely accessible in supermarkets, you might want to explore the local spice stores in your town. Frequently, these stores feature an extensive choice of dried herbs and spices which are of superior quality as well as freshness than others offered in regular markets. Much like with other dried herbs, when choosing dried mint attempt to choose organically produced mint because this will provide you with more assurance which it hasn’t been drawn.To keep fresh mint leaves, very carefully wrap them in a damp paper towel and put in a loosely sealed plastic bag. Store within the refrigerator, exactly where it ought to keep fresh for many days. Dried mint ought to be kept in a firmly sealed glass container inside a cool, dark and dry place, where it’ll keep fresh for around nine to 12 months. The tea is useful for treating stomachache and hirsutism. It is helpful for treating various digestive problems. Tea made from leaves is used for treating headaches, fevers and digestive disorders. Use the poultice made from stem on bruises. Leaves poultice are an aid for tumors. Use the decoction as a gargle to cure mouth sores. The distilled water of Spearmint provides relief from flatulence, hiccough and giddiness of indigestion. It is useful for treating colds, sore throat, toothaches, headaches, cancer, cramps and inflammation of respiratory tract. It is used for treating chest pains and stomach ache. It is used to induce perspiration as well as menstruation. Mint leaves helps to soothe muscles. 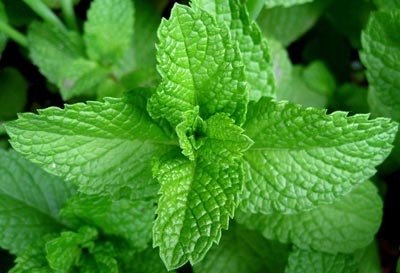 Mint flavor provides relief from bad breathe by stimulating saliva production. It also provides relief from heartburn and increase flow of digestive fluids through digestive system. It helps to treat bacterial infections and also loosen bronchial constriction. Mint tea relieves indigestion and nausea. Mint is used to relieve heat during fever. Leaves are used to cure cough and provides relief from itchy throat. Leaves are helpful in curing allergies. To treat acne, mix mint leaves with rose water and apply it to face. Let it remain for few minutes and then rinse. Do this regularly for best results. As an herbal medicine, leaves are used to treat irritation of scalp. For abusive heel, mix mint leaves to warm water and soak the foot in this. Use mint oil for 3 to 4 times in a week to treat fleas. Leaves are used for bites of mad dogs and heal skin disorders. Avoid excessive use by pregnant and breast feeding women. The mint tea might promote kidney damage and liver damage. Its excessive use worsens kidney disorders. 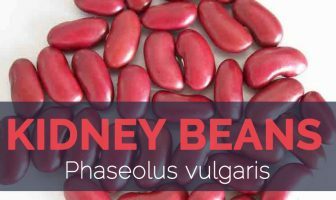 It might cause allergic reactions such as diarrhea, abdominal cramps, headaches, diarrhea, heartburn, numbing or tingling around mouth, contact dermatitis or anaphylaxis. It is used to freshen breath. Dried leaves are used to whiten teeth. People with gallstones should not take mint as it could stimulate gallbladder. Avoid by the patients having gastroesophageal reflux disease. Consult the physician before using mint. People who are allergic to oregano or basil is likely allergic to mint. Leaves are dried and frozen. It could be preserved in sugar, salt, alcohol, sugar syrup and oil. In Northern countries and Arab, mint is used as a vital ingredient in Touareg tea. It is used as a flavoring agent for drinks, desserts, chewing gum, candies and chocolate. Mint jellies and sauces are used to accompany lamb dishes. It could be used dried or fresh in salads, as a tea or as a garnish for hot and cold drinks. In Malaysia, mint is used by mixing with galangal and other fragrant spices for spicy noodle dish. 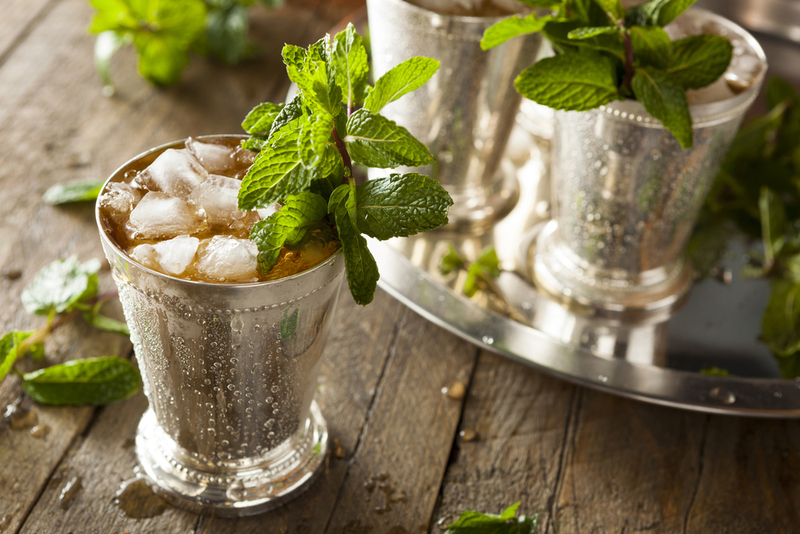 In cocktails, mint is used in mojitos and mint juleps. It is used to promote flavor of seafood, cooked meats, cheeses and vegetables. Add several sprigs of mint to peas, green beans or even new potatoes whilst boiling. 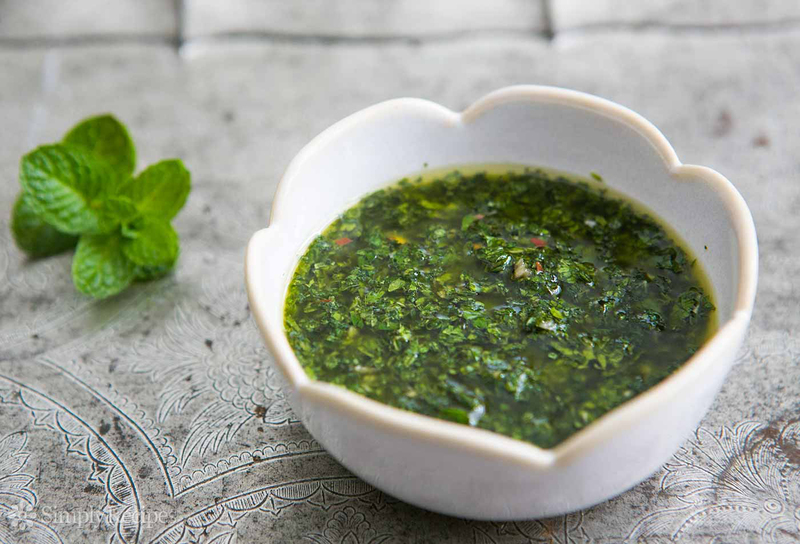 Add mint to the homemade or even pre-prepared chocolate sauce for the choc and mint sauce. Use it like a garnish for cool drinks as well as fruit desserts. Use dried peppermint leaves, added to boiling water to have a refreshing as well as digestive tea. Make a yogurt dressing along with cut mint leaves, natural yogurt, garlic and salt and pepper for salads particularly cucumber salad. Use to produce a marinade for lamb. Mint oil is used to add flavor to toothpaste, confectionery and also added to soaps and shampoos. The essential oils are used as perfumes. Native Native to Europe and Asia and naturalized in parts of northern and western Africa, North and South America and various oceanic islands. Calories 5 Kcal. Calories from Fat 0.72 Kcal.